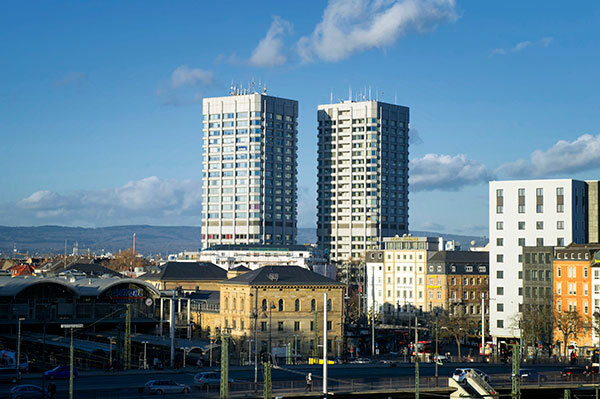 Our practice is located in the heart of downtown Mainz and is easily accessible from Neustadt, Altstadt, Oberstadt and Hartenberg-Münchfeld. We are located on the 2nd floor of Bonifaziusturm B in the immediate vicinity of Mainz Central Station. You can reach us easily by all public transport of the local and long-distance traffic. If you arrive by car, there are plenty of underground parking spaces directly under the Bonifaziustürmen. A small tip: you can park the whole day for 5 € in the 2 underground floors of our underground car park.